Save $15 or $20 Off of Sentry's low factory custom table pad prices. 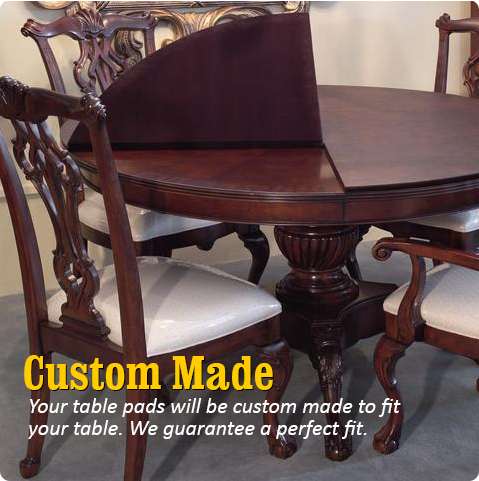 Order Custom Table Pads from America's oldest and largest table pad company. Sentry's table pads are made to order and include their Aluminum Heat Shield feature at no extra charge. Enter Code on the Coupon Area on the Order Page. These coupons save you an additional $5 over the coupons listed on the Sentry website.